Holmgren speaks, but is anyone listening? 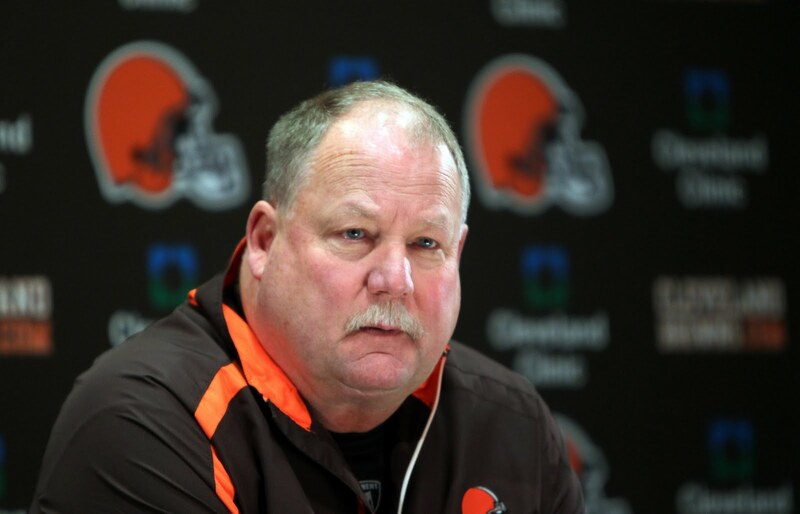 Cleveland Browns team president Mike Holmgren spoke to the media on Wednesday about the manufactured controversy surrounding Colt McCoy’s concussion and showed more piss and vinegar with the media than the Browns have shown on the field this year. While the headlines will scream “Browns did not test McCoy for concussion” the reality is far different. Just as important, when McCoy started feeling strange after the game, he was seen by trainer Joe Sheehan who sent him to a doctor. That doctor administered a concussion test, which McCoy passed. After returning home, McCoy’s conditioned worsened and he was diagnosed with a concussion on Friday. Holmgren explained the team’s decision to not talk until Wednesday because they were meeting with NFL and NFLPA officials about the situation. Holmgren’s going to get roasted by the local media for that last part, but he’s right. He doesn’t have to put on an act like a dancing monkey just because the media starts whining. He also made a very important point that – the current regime simply can’t be held responsible for what went on before they arrived in Berea. In hindsight the Browns obviously should not have let McCoy return to the game. And they certainly didn’t do a good job earlier in the week explaining the situation – they should have gotten out in front of the story by explaining the upcoming meeting with league and union officials. And if you are one of the fans who is predisposed to thinking everything the Browns do is wrong, then it really doesn’t matter what Holmgren says because your mind is already made up. But to think the team intentionally ignored an injured player and put him back in the game is preposterous and not supported with any kind of facts. Just another reason to hate the Steelers. Another great article. Some people love to hate no matter what you say or do. The trick is letting it roll off you and not letting stick. You are absoulutely right about the steelers. Harrison is a danger and he will do this again. I just hope that who ever he hits cheaply is not permanently hurt. Maybe then the league will give him a just punishment but of course that will be after the fact. I wonder if the steeler are going to even make the playoffs? rothleessbuger is hurt more then we are being told and well you saw batch Thursday…I'm just saying!! !